Understand what you can accomplish by making a prenuptial contract before you marry. If you're trying to decide whether or not to make a prenuptial agreement, you'll need to understand what this type of contract can -- and can't -- do for you. Keep finances separate. Every state has laws designating certain kinds of assets accumulated during marriage as marital property or community property, even if these assets are held in the name of just one spouse. If a couple divorces, or when one spouse dies, the marital or community property will be divided between them, either by agreement or by a court. If you want to avoid having some or all of your individual accumulations during marriage divided up by a court, you can do so with a premarital agreement. Protect each other from debts. Some of us bring debts, as well as assets, to a marriage. If there's no prenup, creditors can sometimes turn to marital or community property to satisfy the debts of just one spouse. But if you want to make sure that saying "I do" does not mean saying "I owe," you can use a prenup to limit your liability for each other's debts. Provide for children from prior marriages. A prenup is helpful (perhaps essential) if either of you has children from another relationship and you want to make sure that your children inherit their share of your property. In a prenup, one or both spouses can give up the right to claim a share of the other's property at death, perhaps in exchange for an agreed upon amount of property. Keep property in the family. If your property includes something you want to keep in your birth family, whether it be an heirloom or a share in a family business, you and your spouse can agree that it will remain in your family, and you can specify that item in your prenup. This can even include property that you expect to receive in a future inheritance. Follow through by making your estate plan. In addition to using your prenup to waive inheritance rights and state your intentions for passing on your property at death, it's vital that you prepare the estate planning documents -- a will, living trust, and so on -- that actually transfer your property as you intend. how to settle any future disagreements -- for example, you might agree to hire either a mediator or a private arbitrator. 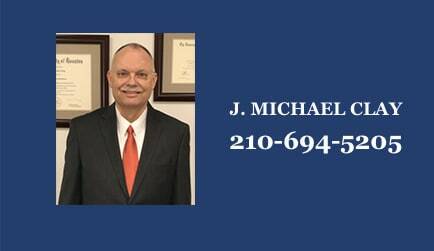 Restrict child support, custody, or visitation rights. No state will honor agreements limiting or giving up future child support. The same holds true of agreements limiting future custody and visitation rights. This is because state lawmakers consider the welfare of children to be a matter of public policy and do not enforce any private agreements that would impair a child's right to be supported or to have a relationship with a parent in the future. These kinds of nonmonetary agreements aren't binding in court, and in fact they could cause a judge to take your entire prenup less seriously. Rather than including personal matters in your prenup, you may find it helpful to simply make a list of your most important concerns and discuss them together. If you want to take it a step further, you can underscore your commitment by writing down your personal agreements in a separate document -- perhaps in a letter that each of you writes to the other, clarifying your intentions and wishes.